Rated 4 out of 5 by PATinPNS from Can't Wait for the Next One This is posted after playing the entire game. What a wonderful game. I've been waiting for something like this forever and it has arrived. This is the most enjoyable game I've played in a long time. Graphics were well done. I loved the realistic style. It looked as though they used a cut out for the background and then put the characters in, but it worked and worked well. Only difficulty I experienced in the game was with the voice overs. They were excellent with a mixture of British and American accents, but they would cut off before the end of what they were saying. Not all the time, but enough to notice it wasn't part of the game. You need to be a speed reader to catch everything in the boxes. I like to look around the scene before reading, but not in this game. You read them and then look around if you wish. I loved the music. It added so much to the game I became addicted to it. I even turned it up while playing. This was my kind of challenge in a game. There really wasn't anything we haven't seen before, but I was able to do the mini games so apparently there was something changed. There were some repeats like untangling the rope. I hate that one and after a feeble attempt I just skipped it. I recalled three of these during the game. The hidden objects were varied from a list to interactive to silhouettes and everything in-between. 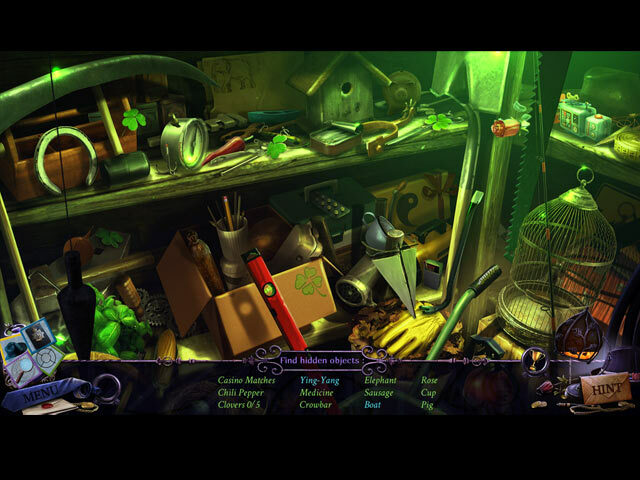 There were a lot of hidden objects and I loved that. The map was excellent. It showed where there were things to be done and transported. I'll give one suggestion. Before you leave a scene, be sure you check the map and make sure you have done everything. I didn't and there were a couple scenes, that when I was checking the map for something,, I noticed I had missed an object. Once you leave there is no going back. Obviously it wasn't anything major, but the indicator was still showing something to do. Others will go into depth about the story so I won't bore you with my version. Oh that story. Not only was there a male as the hero for a change, but it caught me from the very beginning and held my attention all the way to the end. The ending surprised me to say the least. I don't think I've ever seen a game end like that. AWESOME!! I just cannot say enough about this game. No ghosts, goblins, witches or other things that go bump in the night. A wonderful breath of fresh air. We need more like this. Give the demo a try and see if it isn't to your liking. If you like tough puzzles, you probably won't care for it, but for me it was excellent. Rated 4 out of 5 by Granny_Gruff from Who Will Knock Fox Out Next? Detective Gingertail Fox is called to help out an old girlfriend. She is being murdered but the bad guy gives her time to make a phone call! This is all a mild send-up of old Film Noir mysteries. We will help Fox find Barbara's killer, eventually, if he stops getting knocked out! Good stuff: I really liked the artwork - most of it seemed really well done. The characters were a bit over the top and their dialogue a bit cheesy - as in the old films. There were a variety of HOPs and puzzles. Bad stuff: Logic flaws abound - the drill you put together uses the DRILL BIT to UNSCREW a grate. You see silhouettes passing windows of a SLIM figure in a hoodie and never check to see who it is - and then the BIG hulking bad guy shows up to knock you out again. There are, of course, more flaws, but not as egregious as a lot of recent games! Also I could have easily done without the fight puzzles. But there is lots to do and the story is a mystery. And since there is no actual necessity for an SG, the game is a better value in an SE and got an extra star for that fact. All and all an OK effort, but not a barnburner! Give the Demo a try and see if you want to be a rough and tough detective! Rated 3 out of 5 by Bugirl from Short and easy. It was a good game but all the mini games (except the rope knot games) gave clues as to where everything was! I went for the custom option and set the 'click' severity high. I finished the entire game in approx 3 hours. I don't know how best to recommend it. For the story I say "yes", but for value for money "no". Rated 3 out of 5 by Suelovesgames from Disappointed The graphics are nice and the story/plot is okay but the puzzles are cliched. Same old, same old and far too many puzzles for my liking and most of them mind numbingly predictable. Not only that, but they actually repeated a puzzle. I was also disappointed by how short it was. 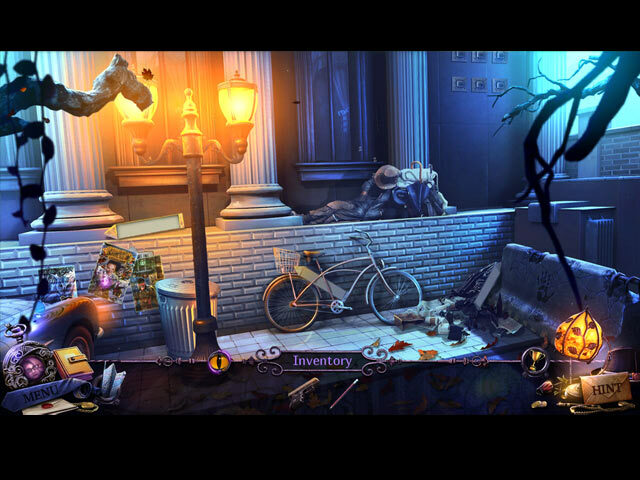 On the upside - quick rechargable hint and skip buttons and the hidden object scenes were good but not frequent enough. Some exciting interactive moments. I've noticed that the first hour of games like these are really exciting but then you buy it and you end up being quite bored by it all. The game developers know that the first hour/demo is critical, so they have to work on that the most. The newer games tend to lose their momentum after the first hour of playing, which is obviously no coincidence. The genre pulled me in. I like that blend of Philip Marlowe, 40's style with the 70's overlay. It had potential but in the end, it didn't live up to my expectations. 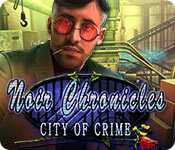 Rated 3 out of 5 by CyndiLouWho2 from Poor ending drags down the rating City of Crime starts off with a bang -- literally. And the game continues to move right along, keeping one interested. As others have stated, this game was originally designed with animals as the lead characters. I think they were smart to change the characters to people, but they should have changed Detective Gingertail's name to something more human as well. The first thing I had to do was mess with my screen resolution because some of hidden object items weren't even appearing on the screen. I figured this out myself because BFG's tech people never answered my queries. 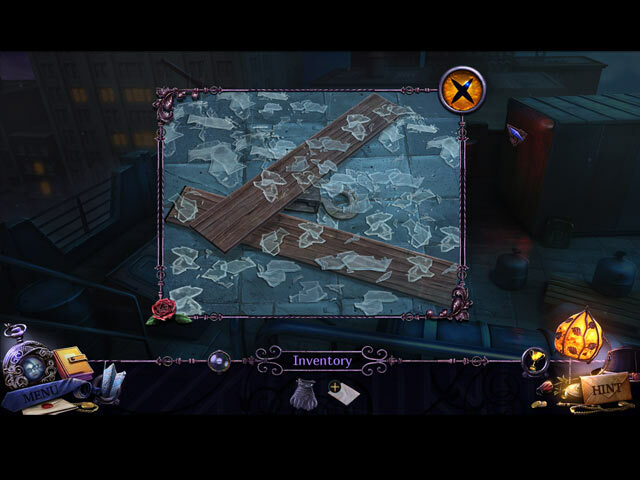 Puzzles and hidden object scenes were easy and once you're finished in a location you don't go back. It's a fairly short game so you really don't have time to get bored. My biggest complaint was the ending which was abrupt and not very satisfying.